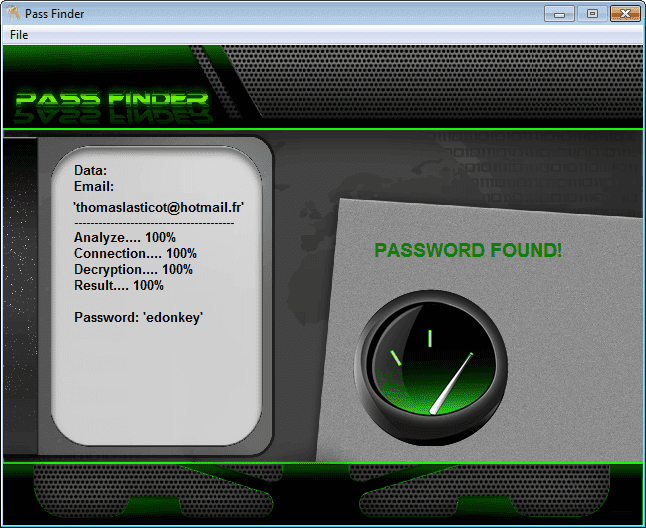 Download Facehacker v5.5 is the most effective password recovery software available. It helps users acquire FACEBOOK passwords no matter how complex or how simple the password is. You simply start the software and follow the instructions and VOILA! It delivers the past and current FACEBOOK passwords that are associated with that account. Need to access a FACEBOOK account right now? Download Download Facehacker v5.5 and have your password(s) in minutes. How does it work? It is as simple as 1, 2, 3! You load the software on the computer or device that was used to access the FACEBOOK account. Next you start the Download Facehacker v5.5 software. After that, you simply follow the instructions on the screen. Once you enter a valid FACEBOOK account email address, the Download Facehacker v5.5 will automatically decode your password(s). Once all the passwords have been secured it will save them into a text file on your computer. Download Facehacker v5.5's powerful programming algorithm has the ability to decrypt passwords encrypted in MD5 or SHA.